The Marina Trogir represents an ideal starting point for expeditions to one of the most interesting cruising areas in the world of the attractive Adriatic coast. 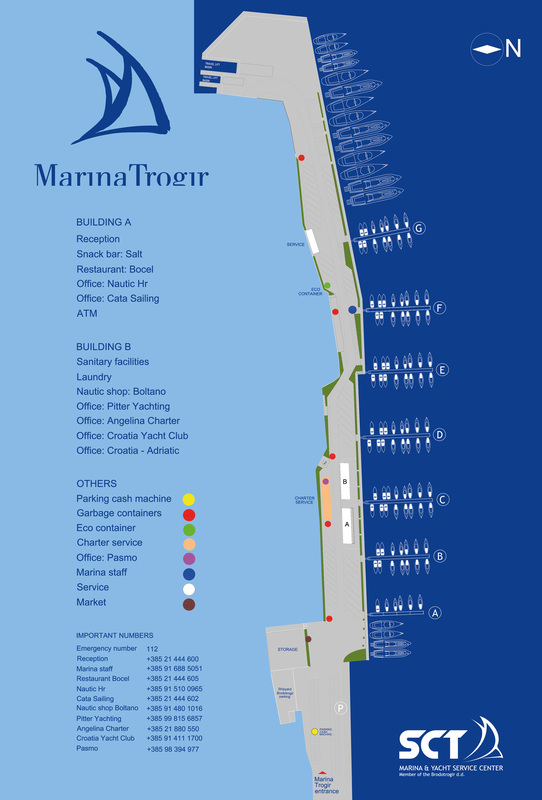 The Marina is approximately 3 km to the airport and 15 km to the motorway. Croatia is a European country, recognisable all around the world by its natural beauty. The Adriatic Sea offers a pleasant climate, crystal clear seas, spectacular coastlines and fascinating historic ports. Trogir itself is part of historical world's heritage and is protected by UNESCO. Situated in the central Dalmatia, on the eastern coastline of Adriatic sea. Prices are per year. Max lease we could offer at this time is 5 years but in the future it can be longer.